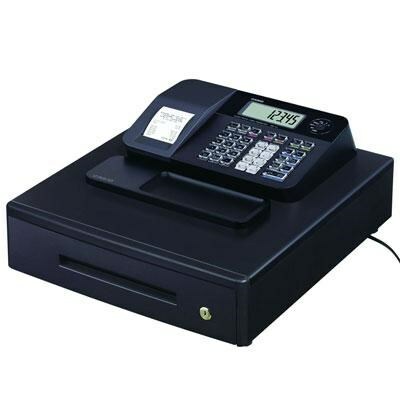 One Sheet Thermal Print Cash Register. 8/24 departments, 999 PLU's. 8 Clerks, built in rear customer LCD display.